Here are some of the tear-jerking and uplifting accounts of women who’ve suffered a life-changing miscarriage. The most heartbreaking tragedy for any expecting mother is losing her unborn baby. While some women struggle with the pain of a miscarriage, others battle feelings of failure, embarrassment and fear of potentially never being able to carry a child to full-term. And often these would-be mothers suffer in silence because of the stigma around miscarriages. One woman hoping to break that, is Jessica Zucker, a former psychologist specialising in women’s reproductive and maternal mental health. Jessica suffered a miscarriage of her own at 16 weeks and it was only after a personal experience with the pain of losing a baby that Jessica understood the magnitude of such a loss. 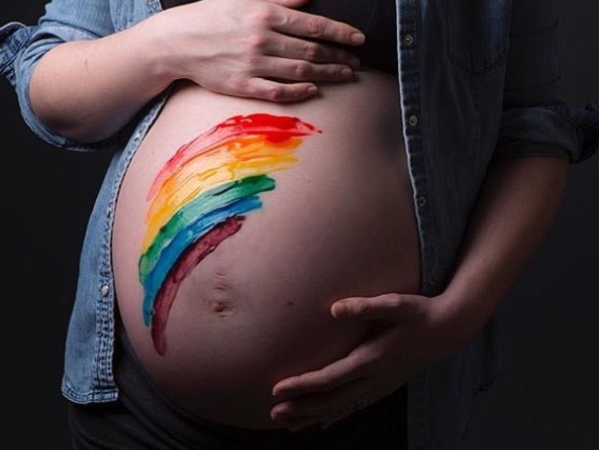 It’s the reason she’s started an Instagram page, I had A Miscarriage, which allows women to share their experiences at losing their unborn baby. “My personal experience was a way to model for other women around the world that there is absolutely no shame in loss,” Jessica told Self. THIS by @ashleedwells: "Mama. I didn't yike it in your belly." . _ My face softens as her brown eyes look up at me. Lashes dragging softly inside blue glasses. "What didn't you like baby?" "What do you remember?" . _ I didn't yike it in your belly, Mama. It was too quiet. I yiked it and then Aurory yeft and it was too quiet." . _ Without warning the tears come. Streaming down my cheeks as I lean back in my chair to look at her fully. So matter of factly. She remembers. "I'm sorry love. I'm sorry it was so quiet. I'm sorry sister left." . _ "Yeah. I didn't yike it Mama. Too quiet. I didn't yike it in your belly." . _ I hold her close to my chest for a quick moment before she pushes back and slides down. Determined to wrangle Doc McStuffins or dessert from my partner, her less tearful parent in the other room. _ I'm left with a gift. Stream of conscious memories from the brief window where children can recall memories and experiences from a time that seems unfathomable and simultaneously have the language to share them before they're forgotten forever. A language half human and half god from a space between two worlds. _ I sit. I breathe. Tears still falling. Grateful. Heartbroken. _ There was a time I thought I experienced alone. A time when the three of us - Aurora, Nova, and I - were one. A time when there were no boundaries between mother and child. Where hearts beat and babies swished. A time before. A time I wasn't sure she'd ever remember. Right now she does." _ #IHadAMiscarriage #twinloss #stillbirth #infantloss #grief #loss #motherhood #ttts #twintotwintransfusion #identicaltwin #pregnancy // @ashleedwells is the founder of @4thtribodies.